A Bit Of Mary Poppins Magic! 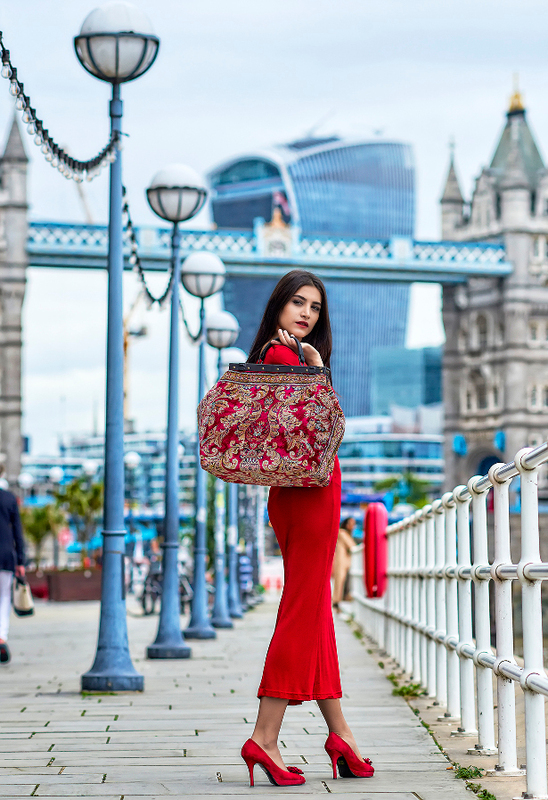 “Made Of Carpet” Elegant and absolutely unique Carpet Bags – trendy Renaissance of the 150-year-old Victorian fashion treasure, straight from its homeland – London, England. (Valentine’s 30% discount code VALENTINE valid until 15 February 2019 Only for items from their SHOP page www.madeofcarpet.com/shop/show_all.php). 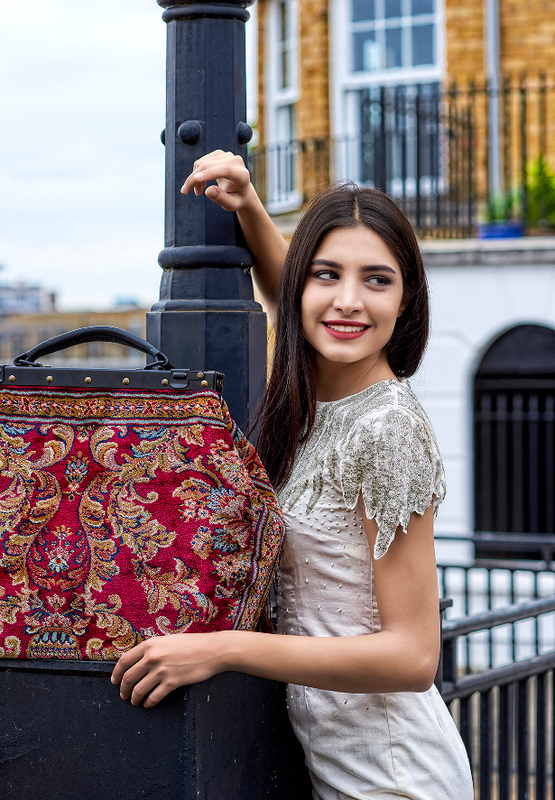 Elegant and absolutely unique Carpet Bags – trendy Renaissance of the 150-year-old Victorian fashion treasure, straight from its homeland – London, England. Our bags are absolutely unique. Out there you can find “carpet” bags made of tapestry, kilim, fabric, velvet or velour… Some of them even have Oriental patterns, but none of them made of thick deep-piled woven rug. Bags made from the finest quality rugs produced in Western Europe, that woven from unique synthetic yarn, patented by a rugs manufacturer. It is plushy, soft, light and silky, but deep-piled, quite thick and firm at the same time, that makes bags look and feel full bodied. All our bags are made in the European Union. We perform the most careful and precise quality control checks. All trimmings and other materials we use are of the superior characteristics and design. We are ‘Made of Carpet’, a unique British heritage brand. We design and produce traditional and exclusive handcrafted Carpet Bags. We are the Renaissance of Victorian Fashion. 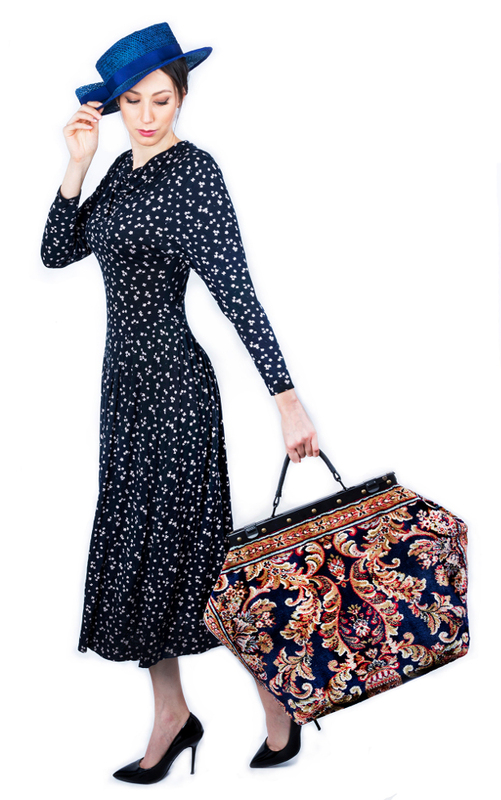 The idea of these beautiful unique Carpet Bags has been inspired by such famous English literary characters as Mary Poppins and Miss Marple. Designed in London and handcrafted exclusively in Europe, our bags come with bespoke trimmings and are made from the finest quality rugs produced in Western Europe. We have closely examined all kinds of materials and technologies, and have found those that meet a performance capacity of the highest nature in modern machinery, all of which meet an authentic Victorian experience as well as health and safety standards. Our carpets are rainproof, soft, light and silky, yet thick and firm at the same time. They are full bodied, strong and durable. 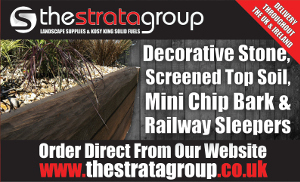 Our manufacturers are highly reputable and established businesses. Led by industry experts, their teams of experienced craftsmen demonstrate incredible attention to detail. These efforts have not gone unrecognised. We were finalists at Drapers Digital festival Award, Drapers Footwear and Accessories Award, British Travelgoods, Handbags and Accessory Association Fashion Accessory of the Year Award, West London Business Award and British Top Designer Competition. We were also official goodie bags partner of BRIT Award 2015. We have exhibited at the London and Paris Fashion Weeks. Bony M Sheyla Bonnick, TV presenters Ashley James and Sandi Bogle and more. Our bags have been featured in BBC period detective drama “Ripper Street”(season 2, series 3 “Became Man”). Also our bag was used in advertising of Virgin Atlantic, dedicated to release of Disney’s Mary Poppins Returns. Please visit our online store www.madeofcarpet.com for great offers, exciting new additions and more information.